Wouldn’t it be great if having a baby at 40 was as simple as having a baby in your early 20s? Unfortunately, the chance of pregnancy after your fortieth birthday can become an intricate web of complications. Thankfully, there’s usually a light at the end of the tunnel. 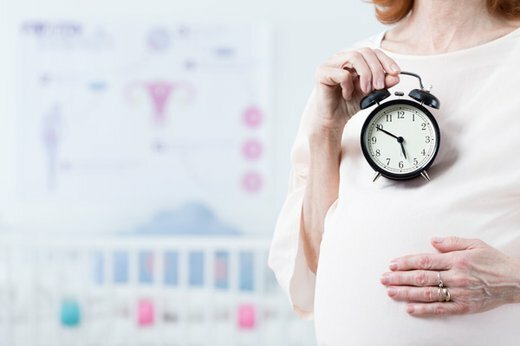 In this article, we’ll not only be discussing the complications that can occur for women with advanced maternal age, but we’ll be talking about the different methods of overcoming them and having the baby you’ve been dreaming of. How Does a Woman’s Age Affect Her Fertility? Between education, career, and finding the right romantic partner, it’s no wonder women are becoming first-time mothers later in life. But can that be a cause for concern? It’s a well-known fact that each woman is born with a finite number of eggs. On average, scientific studies have proven that every woman is born with approximately one to two million eggs in their ovarian reserve. Every month after birth that number quickly diminishes. In fact, by the time a young girl reaches puberty, she has around 400,000 eggs left, which is considered more than enough to have a family. Month by month, however, this amount continues to decline as she ages. Once a woman hits her mid-thirties, the number of eggs left is not the only cause for concern; the quality of the remaining eggs begins to lessen. For these reasons, it is clear pregnancy in your mid to late 30s is a completely different ball game than pregnancy in your 40s. But is there still a chance of conceiving at an older age? Is Pregnancy in Your 40s Possible? All too often we hear questions like, what are my chances of conceiving at 43? Can I still get pregnant naturally in my mid 40s? The short answer – absolutely. Unfortunately, it’s a bit more complicated than trying to conceive in your twenties and early thirties. While there’s nothing saying that a woman is incapable of conceiving after the age of 40, the opportunities for it to occur naturally and without complications can be slim. Approximately 29% of women in their 40s will experience infertility. Comparatively speaking, only 15% of women in their 30s and a minimal 7% of women in their 20s will experience infertility. Women in their 40s also have a lower chance of conceiving each month – approximately 5%. After age 40, science tells us that 34% of pregnancies will end in miscarriage. For women 45 and older, this number rises to 53%. There’s nothing stopping a woman in her 40s from conceiving. However, these pregnancies are considered “high risk” and can have an increased number of difficulties. Choosing to conceive a baby after 40 can become a deliberation of pros and cons, as well as an exercise in patience. When it comes to weighing the advantages and disadvantages of having a baby later in life, the pro list can feel obvious – you will have a beautiful baby to call your own. Most of the time, women in their 40s are also more prepared for children. They’ve experienced important personal and career growth and are typically financially secure. These respective gains, however, are not always in tune with a woman’s fertility. An increasing number of women are now trying to get pregnant at a perimenopausal or postmenopausal period in their lives. We’ll explore how in the upcoming content. What are the Risks to Consider? Is it safe to have a baby after 40? A successful pregnancy is about more than a plus sign on the pregnancy test. While it’s already been stated that the simple act of conceiving in your 40s can be difficult, one should wonder what repercussions this decision can have on your body and the baby. An older woman is also more likely to possess eggs with chromosomal defects that can cause genetic diseases such as Down Syndrome. Chances of birth defects after 40 are another large cause for concern. But here’s the important thing to remember – just because these risk factors are a possibility, it does not mean your dream of having a baby is impossible to achieve. When to Consider Alternative Fertility Treatments? You’ve heard the same advice a million times. Take your time trying to get pregnant. Don’t stress so much about whether you’ve conceived yet. Just get more exercise and you’ll be fine… but when is enough, enough? How much time should you dedicate to trying to have a baby naturally? Is a natural pregnancy in your 40s worth the risks to you and possibly your baby? When you feel you have exhausted all your options and are banging your head against the theoretical fertility wall, it may be time to consider other plans. After all, the older you get, the harder it will be. The likelihood of getting pregnant at 43, for instance, is even slimmer than the chances of conceiving at 40. Natural conception is not your only option, though. IUI’s and IVF, for example, are more common than ever. Medical treatments like these help ensure your body is receiving the care needed to support a healthy pregnancy. A worthwhile option to consider is donor egg IVF. While your own eggs may not have the quality necessary to develop into a viable pregnancy, using a donated egg from someone in her 20s raises your chances of conceiving a healthy baby. 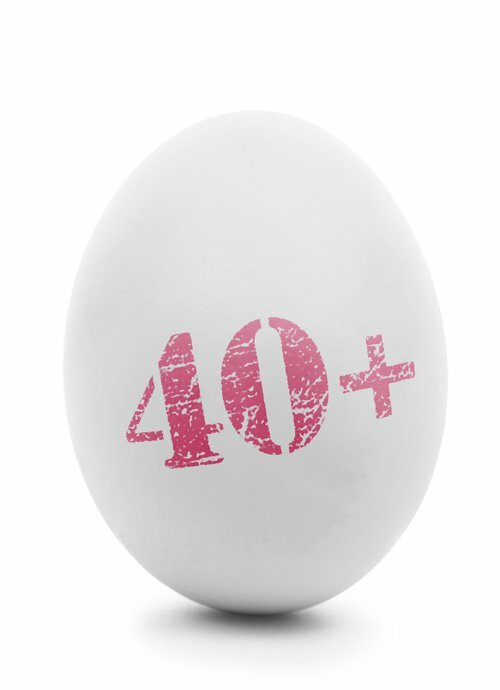 Donor egg success over 40 is quite extraordinary. While the odds of getting pregnant at 43 naturally are less than 5% every month, using donor eggs increases those odds to around 60 – 70%. With donor eggs, you have two options to choose from: fresh eggs or frozen eggs. While many women lean towards fresh, they don’t realize that frozen donor eggs provide equal success rates for a fraction of the cost and are less invasive to use. When it comes to safe and healthy pregnancies in your forties, frozen donor egg IVF is truly one of the best options available. In today’s age of medical advancements, we see women having successful pregnancies in their 40s all the time. No exception to that rule are the female celebrities that grace the covers of magazine shelves everywhere. Time and time again, we hear about women in Hollywood having healthy pregnancies well into their 40s. Nicole Kidman, Celine Dion and Halle Berry are just a few of the Hollywood Stars who famously welcomed children after their fortieth birthdays. But what makes these facts so important? These moms, along with so many others, are shining examples of the possibilities that are available to older women. They have successfully used their platforms to let mature women know that having a child can be more than just a hopeful pipe dream. There is still plenty of time, and opportunity, for a woman to become a mother - even if she feels like she’s past her prime. Despite all difficulties, there is a silver lining to getting pregnant in your 40s – it’s entirely possible in one way or another. Whatever approach you take to conceiving, know that so many women have walked the same path you’re on now. Elizabeth George, for example, was dedicated to achieving a natural pregnancy at 38. Through her own research and years of trial and error, she conceived without intervention at age 42. So many women have turned to fertility treatments and found success. Donor eggs, especially, have brought solace and comfort to an innumerable group of women. Their stories resound with inspiration and faith. While many have fought against the idea of donor eggs in the beginning, they’ve found it to be the solution for which they had been searching. "But the most wonderful, awe-inspiring, heart-melting part of all of this is my son. MY son. My own flesh, who couldn't be more "mine" if he was from my own egg." Achieving a pregnancy in your 40s may not be simple, but it is a journey that often ends with the most beautiful result. Whether you make the decision to try naturally or to undergo fertility treatment like frozen donor egg IVF by selecting from our extensive database of egg donors, please know that your happily ever after could be right around the corner. Still unsure if using donor eggs is the right path for you? Please call 240-778-6210 or email our team for more information! I'm CAROLYN CATHERINE, I'm from Glenview, Illinois USA. I'm here to share my testimony on HOW I CONCEIVE my baby after i suffer from PCOS and my TUBES ARE TIED, i have been married to my husband for 15 years without no issue. I had problems with my husband family even my husband started to have new affairs aside our marriage. it was a very terrible thing to bear. I became a laughing stock among my pear, i prayed and fasted and nothing happened, been to many doctors and yet my case remain the same, i was now seen as always unhappy. i was even ready to pack out of my marital home and stay on my own because my husband was not given me any attention that i needed from him. I decided to focus on my job and try to live happy on my own. on this faithful day, i decided to check the internet for updates on Trying To Conceive with pcos and my tubes are tied, and i came across a story of a woman helped to conceive a twins baby under same condition as mine. so i decided to put a try because this has been my greatest problem in life. today i'm a proud mom with twins. I know there are many people in this same condition and you feel there is no way.